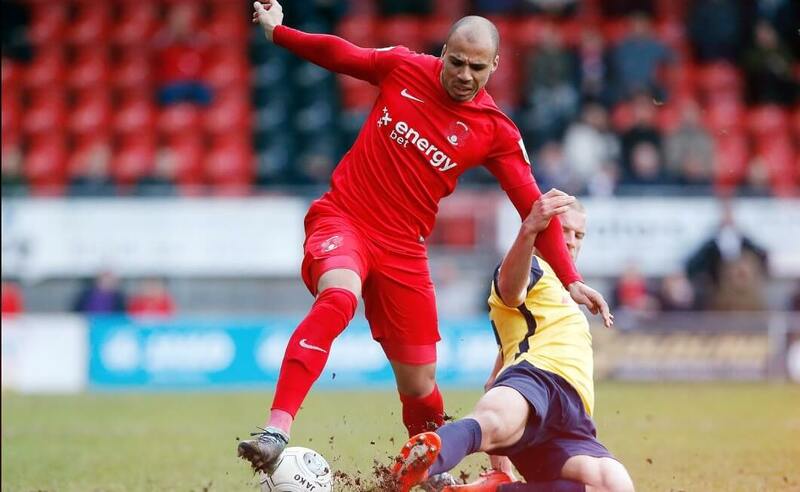 A Kenny Clark own goal was enough to give Leyton Orient a share of the spoils in a 1-1 draw at home to Ebbsfleet United on Saturday. Although Leyton Orient haven’t won at home at all in 2018 you could look at this home draw as a point won rather than 2 points lost. Firstly they were up against a determined Ebbsfleet United team chasing the play off positions in 9th position and playing some scintillating football this season. Secondly they gained a place in the National League table overtaking Woking who stumbled to a 3-1 home defeat to Halifax Town. Thirdly they opened up a 9 point cushion over the last highest placed team in the relegation zone namely Solihull Moors who went down to a single goal to Sutton United. Solihull Moors have 34 points and below them Chester City are beginning to come out adrift as they are on 40 points while 23rd placed Torquay on 27 points and last placed Guiseley might as well give up the ghost now on 25 points. Orient are on 43 points. All this is good news for the O’s and while Solihull Moors do have a game in hand over the O’s there are a couple of teams also struggling in 19th and 20th in Hartlepool and Barrow. Macclesfield beat Barrow 3-1 while Hartlepool scraped a 0-0 draw t home to 5th placed Boreham Wood. Leyton orient aren’t safe yet but are sitting a little more comfortably in 15th place as 4,127 flocked in to Brisbane Road to see if Orient could beat the 2018 home hoodoo. James Brophy was in fine form all day and he looked the difference between the two side in the opening few minutes as Orient attacked with gusto so it was a bit of a backdown to earth feeling as Corey Whitely fired past Dean Brill to give Ebbsfleet the lead as early as the 15th minute. The O’s regrouped well against this setback and it was on the cards when they levelled the match as James Brophy latched on to an excellent Sam Ling pass before drilling the ball in off Kenny Clark. The teams went into the break at a goal apiece. Justin Edinburgh’s men took the bull by the horns after half time and deserved to extend their lead but were thwarted by some egged Ebbsfleet defending and some unlucky breaks as Josh Koroma, who had gone close early on, fizzed a free-kick just inches wide before the hour mark. Brophy continued to be a real threat to the visiting defence, but he could not make any further impact. The O’s sent on David Mooney after 63 minutes and Reynolds with a quarter of an hour left but it was all to no avail and the draw slightly dents Ebbsfleets playoff ambitions. Elsewhere there were goals galore as the shock and drama of the day unfolded at 8th placed Fylde who stunned 3rd placed Aldershot Town with a 7-1 thrashing. Strangely it wasn’t the only 7-1 scoreline of the day in the National League as Gateshead stuffed Maidenhead Town in the north-east to climb above them in the league to 12th with a 12 goal swing in the goal difference department to boot. Meanwhile Tranmere Rovers were in good form away at Dagenham And Redbridge coming home to the north with 3 points and a 4-0 scoreline. 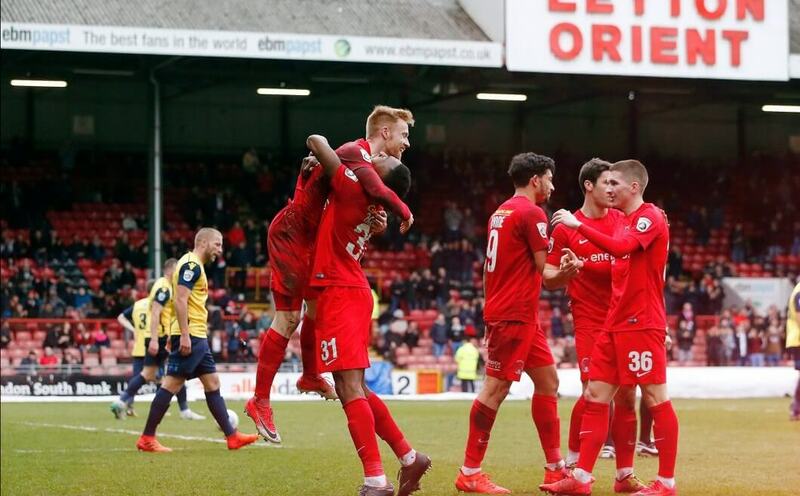 For the O’s the 1-1 draw is one tiny step closer to safety for Justin Edinburgh and his Brisbane Road crew in a match they could easily have won. Leyton Orient’s frustrations continue on home turf without that home win since December and yet, although Orient fans won’t be counting their chickens just yet as we head towards Easter it appears fairly safe to say that the O’s will be playing National League football next season. Then it might appear to Justin Edinburgh that the summer might be the perfect time to shuffle the pack with his squad.